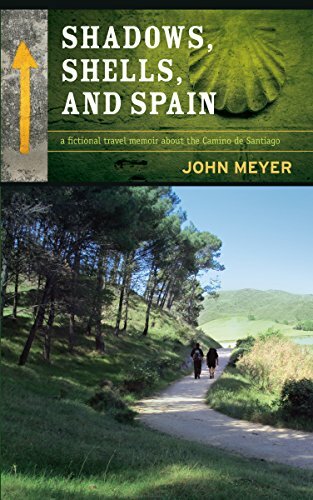 Shadows, Shells, and Spain follows Jaime as he searches for his wife by following clues she’s left for him along Spain’s Camino trail. What was your inspiration for the setup to this novel? Well, I knew that I wanted to write about the Camino. The adventure had everything I think I needed to write my next book. I had the rich history of the Camino; I knew I would uncover interesting anecdotes in every town; and I was assured that I would meet wonderful characters from around the world. All I needed to do was add my fictional story to my already unbelievable reality. Now when I embarked on my own pilgrimage, I, of course, was immediately fascinated with Spain’s compelling landscape and the Camino’s magical history, but it was the people on the path who really inspired me. Each walker had their own personal reason for their demanding journey. Some had just quit their jobs. Some had just quit their marriages. Some just needed to unplug from their stressful lives back home. Whatever their reason they were all united in their belief that walking across Spain would help them heal from their hurts or stimulate their minds to live their lives better when they returned home. So I knew I needed main characters in my book who were equally damaged and required more time to heal from the pain in their pasts. That was the starting point. Then I added the mystery, the suspense, and the quirky love story…. Jamie is a fascinating character and his relationship with Brie becomes something more than he expected. Did you plan their relationship or did this happen organically as you were writing? For the most part it was planned because I outline everything! I know my beginning and my ending and everything in between. Now while the story evolves and I discover things along the way (especially how characters act and react to each other), the basic narrative remains intact….especially the ending. However, having said that, yes, Jamie and Brie’s relationship did change organically too. I mean, every scene and every conversation had its theme or drama that I had to convey to the reader, but I didn’t always know exactly how I would convey that. This book highlights some fascinating historical and architectural sights. What draws you to the history of Spain? Because I write what I call fictional travel memoirs, I need locations that are rich in history, filled with local, colorful characters, and steeped in adventure. And now in two of my books, I’ve been drawn to Spain for all those reasons and more. The first time was in my book, Bulls, Bands, and London, where I ran with the bulls during Pamplona’s San Fermin Festival. London was the primary focus of the story but Pamplona was where the main character was truly challenged and had to make a life-altering decision—while risking his life being pursued by a half-dozen frightened bulls. Now in my current book, Shadows, Shells, and Spain, the adventure itself is far less dangerous but it still challenges you physically, mentally, and for many pilgrims, spiritually. To outside pilgrims scattered across the globe, the Camino is perhaps a once-in-a-lifetime opportunity for some serious soul-searching. To Spanish pilgrims, this 800 kilometer trek is almost a rite of passage: a journey every Spaniard must make in order to test his or her body, free his or her mind, nurture his or her soul—and truly understand what it means to be Spanish. That’s what draws me to Spain. It doesn’t matter where you live, what you do for a living, or how much money you make, every citizen embraces their heritage and takes a moment to re-connect with the land and dig deep inside their hearts to re-focus their minds to what’s truly important in their lives. Is there any message you might like to leave with your readers? Lost and listless on the island of Mallorca, Jamie Draper searches for his estranged wife, Pam, who has left him without any explanation or warning. Exploring her last known location, Jamie stumbles upon an urgent letter from his missing wife promising full disclosure as to her sudden departure and her current whereabouts. There’s just one catch: her mysterious adventure is disclosed in a series of letters she’s left hidden along the ancient Camino trail across northern Spain. 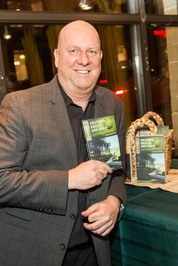 Now armed with a list of clues to track the letters down, Jamie retraces Pam’s footsteps, while being both entertained and challenged by the many colorful Camino characters he meets along the way—including the enchanting Brie, who harbors her own secrets that just might compromise Jamie’s intended reunion with his wife.